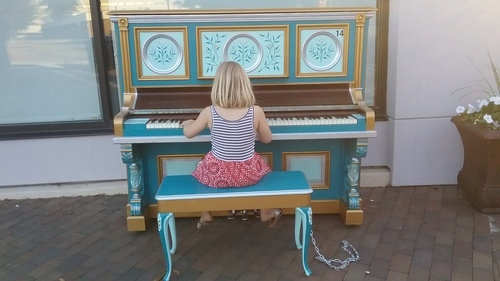 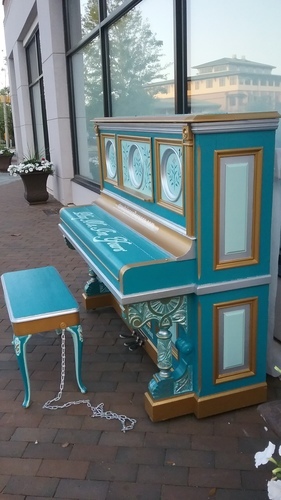 This piano is open to play 24/7. 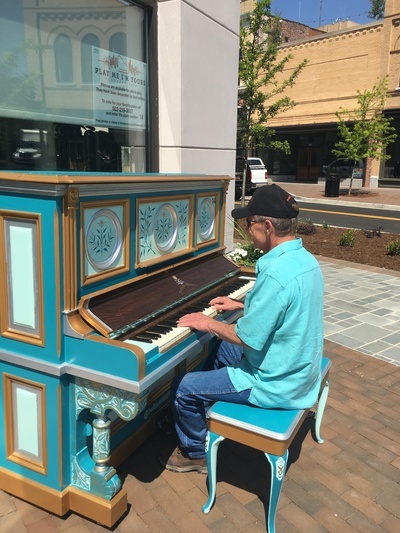 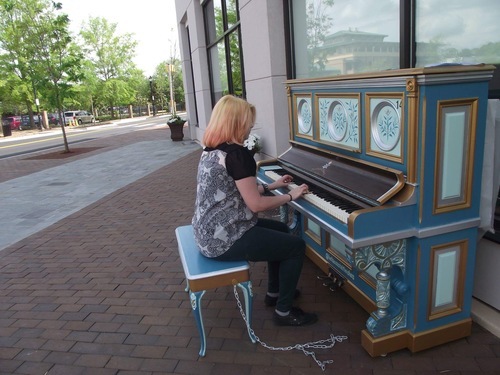 It was decorated by Gina Dyess, and it is piano 14 for the People’s Choice vote. 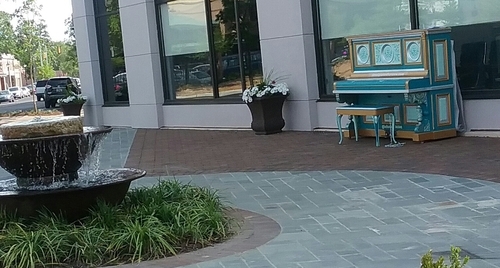 The piano is in place!